The firm behind a housing development in Boston has been honoured at a regional awards event. 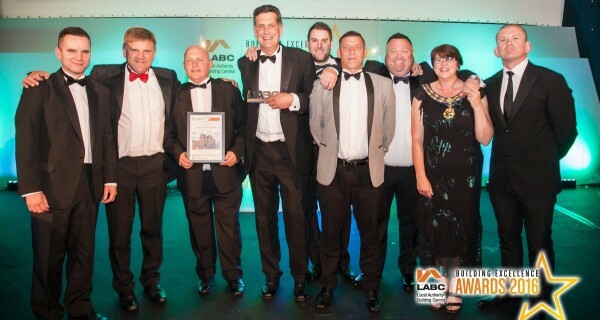 D. Brown Building Contractors was named winner in the Best High Volume New Housing Development category at the recently held East Midlands LABC (local authority building control) Building Excellence Awards. The Moulten Seas End-based firm took the honour for a build in Blue Street, Boston, and progress to the grand finals in November. Derek Ford, managing director, said: “We are delighted to have received this prestigious award. This difficult development has been delivered by a dedicated team, headed by Waterloo Homes Group in partnership with Boston Borough Council, and is a credit to everyone that was involved. The awards aim to recognise, in the words of organisers, ‘outstanding craftsmanship, technical innovation, sustainability and high performance’, as well as ‘a special working relationship with LABC that solves technical problems, uses innovative products or creates a new solution’.